The Mobile Homes Act of 2013 introduced lots of new rules and regulations for those who own and live in park homes. A lot of these regulations apply to mobile homes and park homes in England. Most of the information you can find online relates to park homes in England, and as such other countries of the UK are left out. Which is why Sell My Group have put together this short summary to the Mobile Homes Act 2013 and how it applies to park home residents in Wales. When did the Act come into place? As of 1st October 2014, this act came into effect. It applies to all residential parks in Wales. A site licence is required by the site owner, if they are using land as a regulated site. If a site owner is operating without a licence this is an offence. The penalty for this offence is an unlimited fine which can be imposed by a court. What is a regulated site? A regulated site is a site which must have at least one mobile home on it for the purpose of human habitation. This does not include holiday sites, as these are not regulated for habitation 12 months of the year. Schedule 1 of the Mobile Homes Act 2013 lists the types of sites which are not regulated. This includes those owned by a local authority. An application for a site licence can be made to the local authority, according to Section 6 of the Act. If you wish to apply for a site licence then you must be prepared to provide several different types of information. This will include the land that you are proposing to be licenced and your identity. If you are applying on behalf of someone else and you are not intending to be the site manager then the identity of the manager must be provided. It is possible for the local authority to charge a fixed fee upon receiving the application. However, they may only do this if they have published their fees policy. This is according to Section 36 of the Mobile Homes Act 2013. The application will also include a declaration that the manager or applicant is a fit and proper person to manage the site. Section 28 of the Act dictates that anyone applying for a residential site licence must be a ‘fit and proper person’. The owner of the land must not allow any part of the land to be used unless the local authority deems this to be true. A fit and proper person must take part in a ‘test’ of sorts to find their eligibility. If the owner disregards the fit and proper person test during the licence period then the local authority may apply to a tribunal to revoke the site licence. The owner may also be considered guilty and be liable to receive an unlimited fine. The local authority must consider any of the following in order to reach a decision. Commission of criminal offences concerning fraud, dishonesty, violence, drugs, firearms and offences within Schedule 3 of Sexual Offences Act 2003. Discrimination or harassment in connection with the involvement of any businesses. Contravention of any housing law including mobile homes or landlord and tenant. If the application is refused for any of these reasons, the local authority has to let the owner know and the reasons why. The owner then has 28 days to appeal to a Tribunal. If the considers that the owner of the land has failed to comply with any of the conditions of a site licence then they must serve them with a Compliance Notice. Or they may serve them with a Fixed Penalty Notice. In order to find out which notice is more appropriate they must refer to any government guidance. If a Fixed Penalty Notice is served then the fine must not exceed Level 1 – £200. If the owner does not pay in accordance then the local authority may withdraw the Fixed Penalty Notice and serve a Compliance Notice instead. What is a licencing offence? According to Section 24 of the Act, an offence can be determined when or if a person makes a false or misleading declaration or provides information they know to be false. This could apply in any circumstances regarding the licencing of mobile home sites. A Consumer Price Index (CPI) is what is used to increase or decrease pitch fees. This is instead of the RPI (Retail Price Index) in England. Like the RPI, the CPI can be found on the ONS (Office of National Statistics) website. The site must give at least 28 days’ notice of a change in pitch fees. They do this by providing a Pitch Fee Review Form in Writing – similar to the process in England. 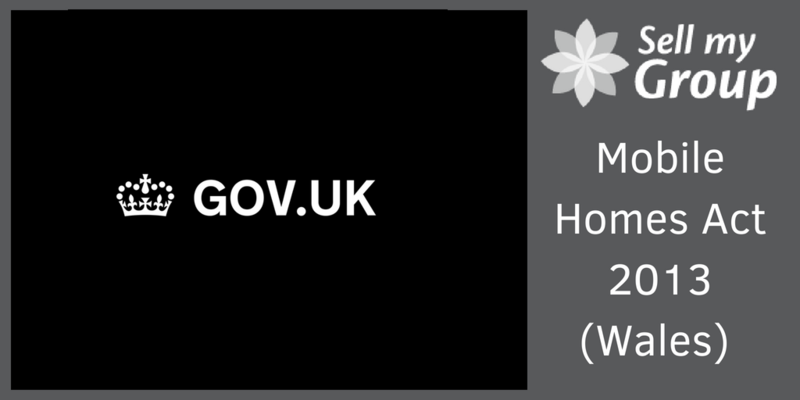 The Mobile Homes Regulations 2014 for Wales outline the procedure that site owners must follow if any site rules remain effective after 30th September 2015. These regulations are also similar to those found in English regulations. If the site owner does not consult with all the residents of a park about the rules and go on to notify the local authority by this date then they will no longer be in effect. Safe blocking is a criminal offence which can be committed by the site owner. This is in regards to those who have provided false information or a false statement. The site owner must know that their actions will cause a resident to abandon their occupation of the park home. Or they must know that it could result in a potential buyer to withdraw their application. Any evidence concerning this offence should be recorded and forwarded to the local authority as they are the ones with the power to prosecute. The local authority may impose a fine and/or imprisonment.